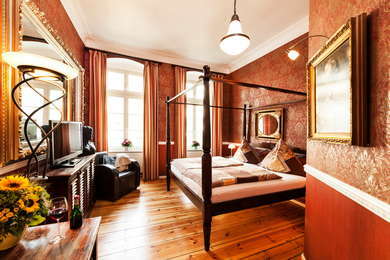 These two hotels are charming, quaint oases only a few steps away from the buzzing neighborhood of Mitte. The former tenement houses, typical of late-19th-century Berlin, have been meticulously restored, with wooden floor planks and hand-selected, historic furniture. A small restaurant in the main hotel hearkens back to its proud history as a meeting point for political opponents of the East German regime, serving a variety of German standards to a younger, international clientele. 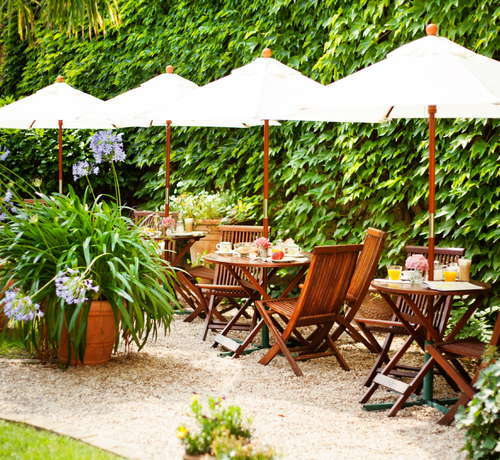 The Garden Hotel (set in a house that dates to 1845) surrounds a green courtyard and offers a quiet getaway. 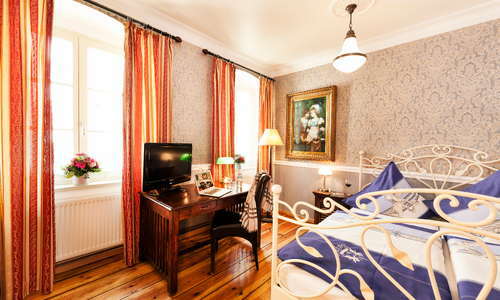 Rooms are uniquely decorated with artfully chosen, colonial-style antiques, oil paintings and four-poster beds. Some feature original wood floors and stucco ceilings. Views are of the street or the ivy-covered courtyard. 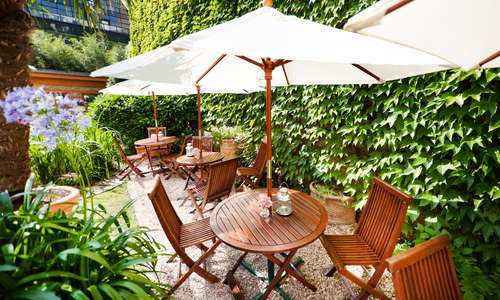 YOU SHOULD KNOW Rooms at the front of the hotel can be quite noisy, so light sleepers should opt for courtyard-facing rooms. 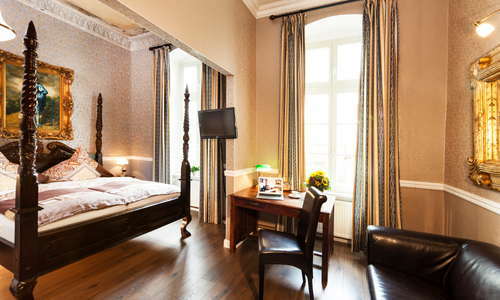 The modern, marble bathrooms have showers or tubs; the larger studios and apartments in the Honigmond Hotel building have bathtubs. The inviting lobby features exposed brick walls decorated with large paintings and comfy leather seating. The small restaurant in the main hotel serves a variety of classic German dishes. 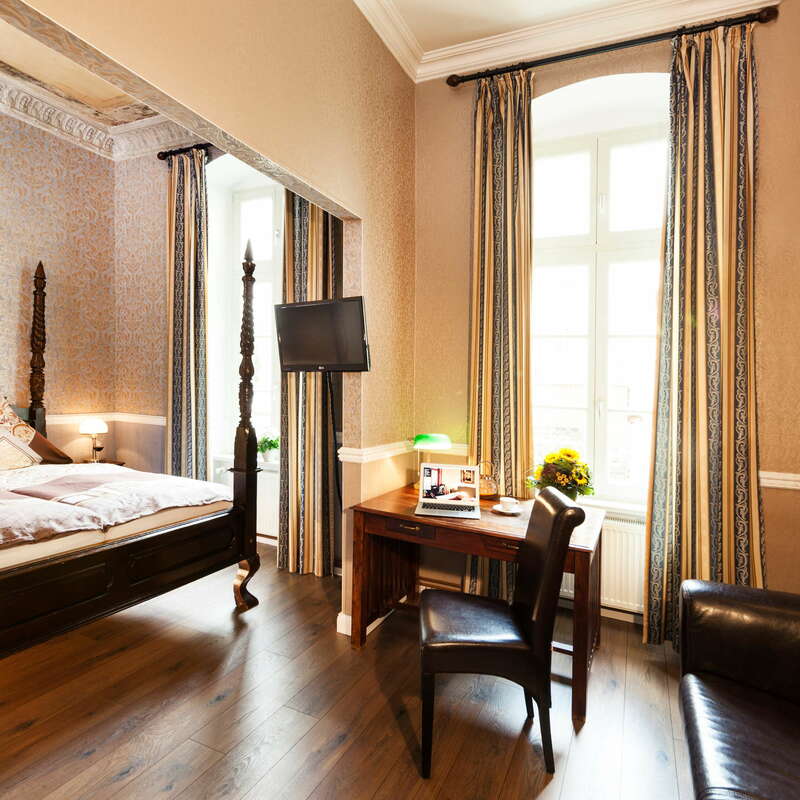 Located in a residential area of Mitte, the hotel is surrounded by excellent boutique shopping and trendy restaurants and bars galore. The S-Bahn Nordbahnhof station is a five-minute walk. 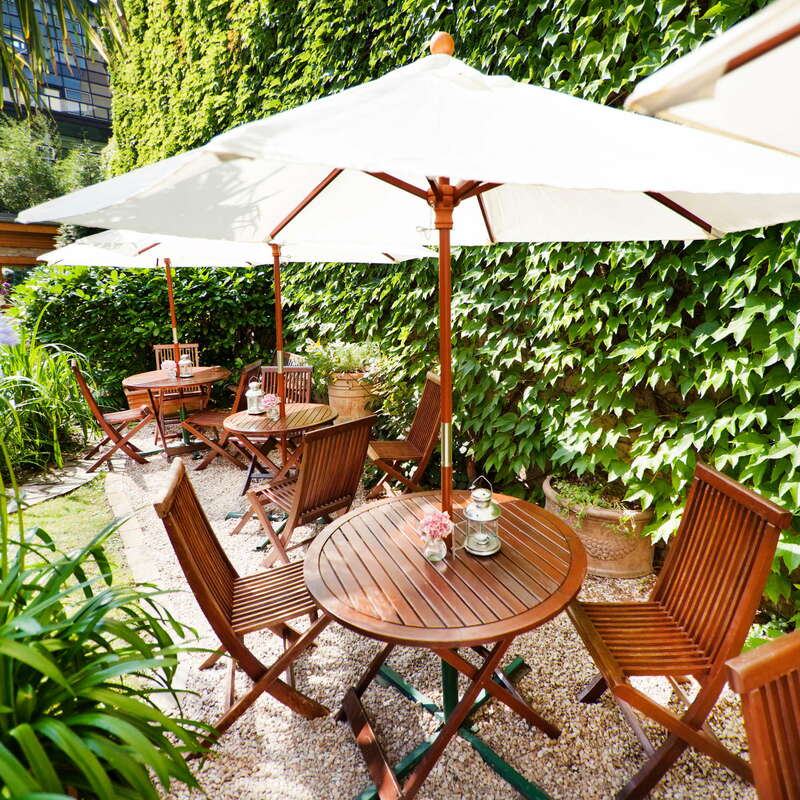 Katz Orange (6-minute walk) merges sustainability and gastronomy in a charming dual-level restaurant tucked into a gorgeous courtyard; standout dishes include the slow-cooked Spreewald Lamb. Feast on German-Austrian specialties in a beautifully modern Scandinavian-inspired space at Alpenstueck Restaurant and Bakery (2-minute walk). Café Cinema (18-minute walk), in the Hackescher area, is a warm, inviting spot to grab a wine, beer or coffee. Lust Bar (4-minute walk) is a spacious, comfortable spot for French wines by the glass. 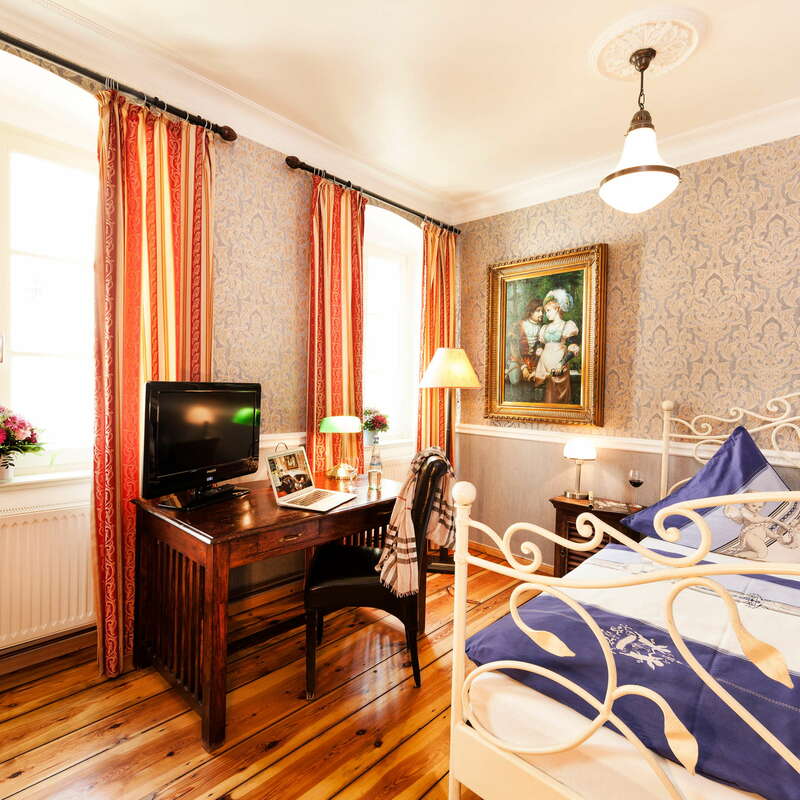 The quaint atmosphere, uniquely designed rooms and warm, welcoming service are plusses, as is the tranquil courtyard, replete with koi pond and antique statuary, where you can take a break from the city bustle.